Semi-automatic, with flow meters, for different products. Longoni electronic flow meter fillers – the bottling and packaging professionals – are manufactured using the best technology present on the market, and employing safe, quality materials so as to obtain a finished product with good performance levels that lasts over time. 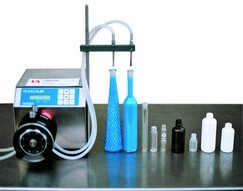 The electronic fillers are fitted with special mechanisms that, after correct calibration, are able to control filling operations for recipients with very different capacities, such as bottles, vials, jars, tubs, buckets, small and large cans with products in any form such as thin and thick viscosity liquids, foam, cream, gel, powder and granulate. The Longoni offer is therefore a valid alternative to mechanically-operated dosing syringes limited by specific minimum and maximum volumes. The equipment can be composed of electronic scales for weight filling or of electronic meters for both volumetric and weight filling. These remote-controlled instruments transmit data to customised control programs for the execution of operations by digitally-controlled devices. Automatic, with flow meters, for different products. 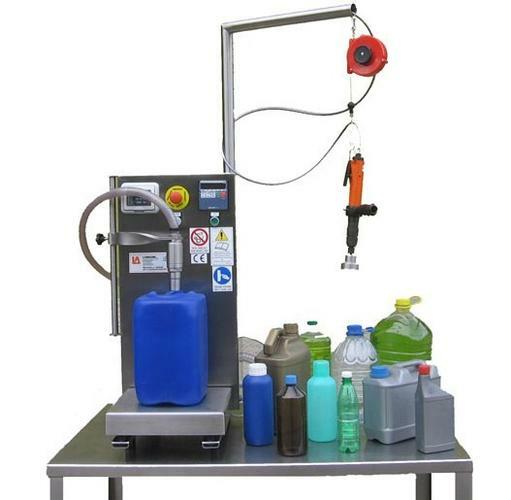 Automatic and semi-automatic,for liquid products. 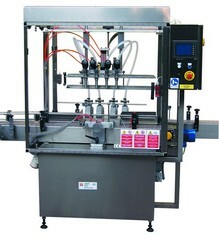 Semi-automatic, with dosing syringes,for liquid and semi-dense products. Longoni volumetric fillers – the bottling and packaging professionals – are manufactured using the best technology on the market, and employing safe, quality materials so as to obtain a finished product with good performance levels that lasts over time. Volumetric fillers are equipped with dosing syringes of various volumes that must be calibrated to match the quantity of product to be inserted into the containers. 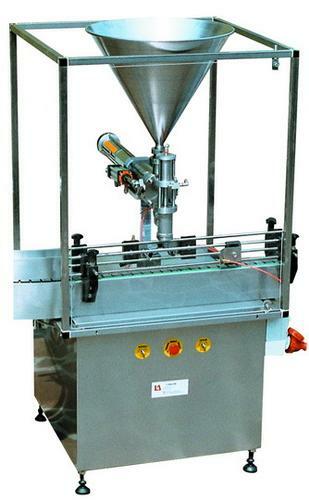 The construction of the filler is customized to take into account the characteristics of the product, that is, whether it is foamy, thick, creamy, gel, powder or granules, and the type of containers, that can be bottles, vials, jars, canisters, tubes, tins, buckets, large and small volume cans. ?The new generation of fillers, representing an alternative to mechanical dosing syringes, use electronic flow meters. These instruments transmit data to customized control programs, allowing operations to be performed by digitally-controlled devices. 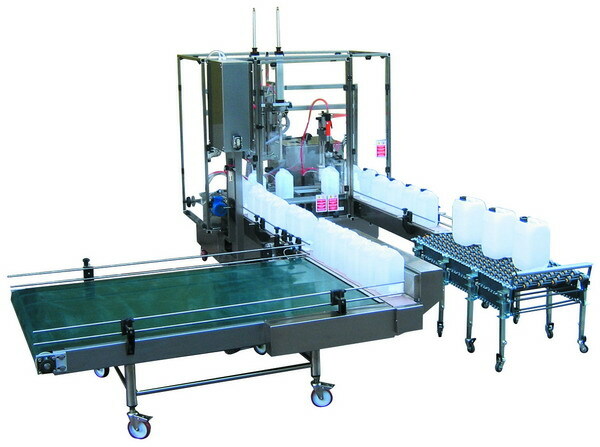 Automatic, with dosing syringes, for liquid, foamy and semi-dense products. 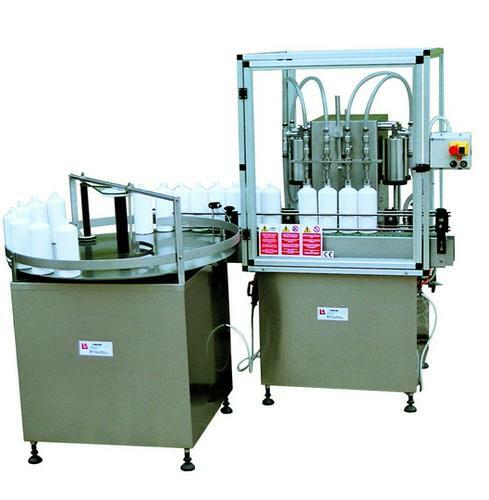 Semi-automatic, with dosing syringes,for liquid, foamy and semi-dense products. 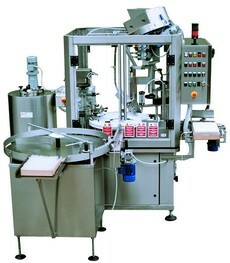 Automatic, with dosing syringesfor liquid, foamy and semi-dense products. Semi-automatic, with dosing syringes,for dense, creamy and wax products. Semi-automatic, with scale,for different kinds of products. 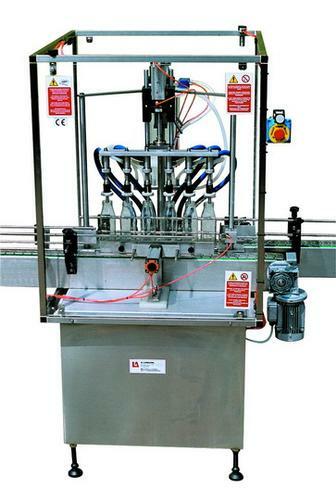 Longoni weight fillers – the bottling and packaging professionals – are manufactured using the best technology present on the market, and employing safe, quality materials so as to obtain a finished product with good performance levels that lasts over time. The new generation of fillers, representing an alternative to the mechanical weight system, use electronic flow meters. These instruments transmit data to customised control programs, allowing operations to be performed by digitally-controlled devices. 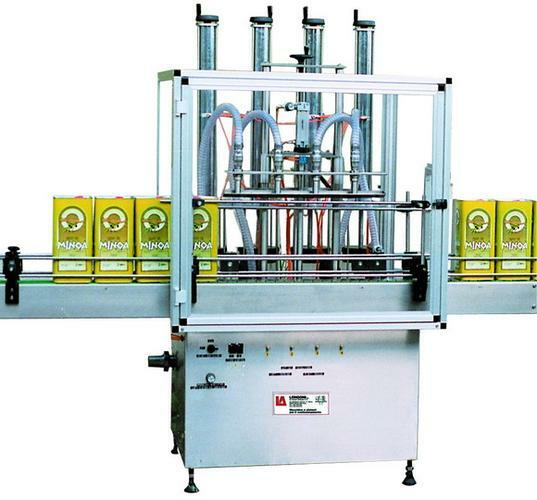 Automatic, with scale,for different kinds of products. Semi-automatic, with dosing screw,for powder, chopped and granulated products in bottles, jars and sachets. VOLUMETRIC FILLERS FOR POWDERS AND GRANULES. Longoni volumetric fillers for powders and granules – bottling and packaging professionals – are manufactured using the best technology on the market, and employing safe, quality materials so as to obtain a finished product with good performance levels that lasts over time. 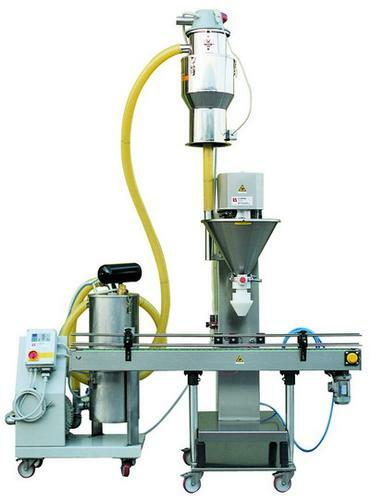 Volumetric fillers for powders and granules use a dosing screw. The electronic scales are pre-programmed with the weight of the product to be inserted into the container, that can be of type: bottle, jar, canister, box, sachet or bag. Volumetric fillers for powders and granules are suitable for food, cosmetic, chemical and pharmaceutical industries. Longoni weight fillers for powders and granules – bottling and packaging professionals – are manufactured using the best technology on the market, and employing safe, quality materials so as to obtain a finished product with good performance levels that lasts over time. 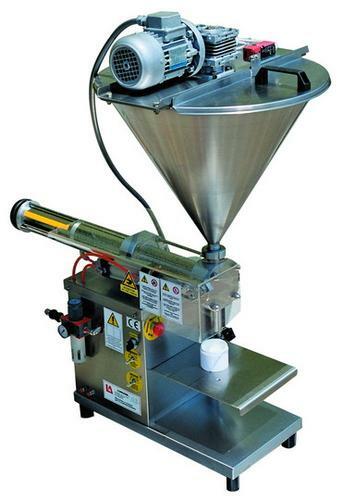 Weight fillers for powders and granules use a dosing screw. The electronic scales are pre-programmed with the weight of the product to be inserted into the container, that can be of type: bottle, jar, canister, box, sachet or bag. for powder, chopped and granulated products in bottle, jars and sachets. 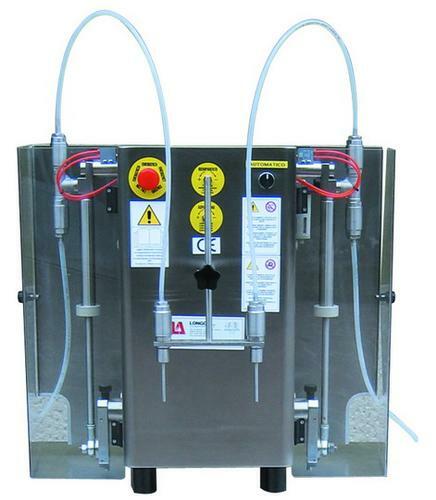 Semi-automatic, vacuum filling,for liquid and semi-dense products. Longoni constant level vacuum fillers – the bottling and packaging professionals – are manufactured using the best technology on the market, and employing safe, quality materials so as to obtain a finished product with good performance levels and that lasts over time. Vacuum fillers are able to guarantee a constant level of product in all types of bottles and are suitable for food, wine, perfume industries for liquid and semi-liquid products. Bottles can be of different capacities such as large, small or mignon bottles in glass, plastic or very rigid metal, and used for different products such as wines, liqueurs, syrups, olive or seed oils, essential oils, fruit juices, tomato sauce, personal perfumes, air fresheners etc. 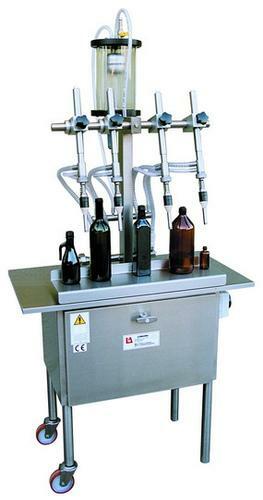 Two types vacuum filler exist: fillers for the introduction of products in empty recipients, and fillers for the introduction preserving liquids, such as oil, vinegar, syrup or brine, in recipients already filled with solid pieces such as fruit or whole/cubed vegetables, and are known as topping fillers. 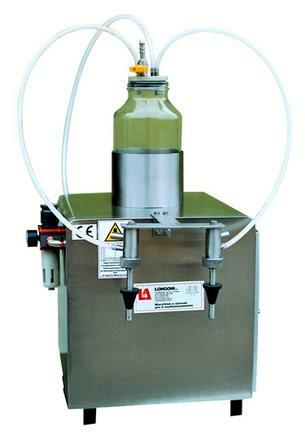 The vacuum fillers of Longoni – the bottling and packaging professionals – equipped with a constant level vacuum system are manufactured using the best technology on the market, and employing safe, quality materials so as to obtain a finished product with good performance levels and that lasts over time. Vacuum fillers with the constant level vacuum system provide a constant level of the product in all types of bottles, and are suitable for liquid and semi-liquid products used in the food, wine and perfume industries. Bottles can have different capacities such as large, small and mignon bottles in glass, plastic or very rigid metal, and used for different products such as wines, liqueurs, syrups, olive oil, seed oils, essential oils, fruit juices, tomato sauce, personal perfumes, air fresheners etc. There are two categories of vacuum fillers using the constant level vacuum system: fillers for the introduction of products into empty recipients, and fillers for the introduction of preserving liquids, such as oil, vinegar, syrup or brine, into recipients already filled with solid pieces such as fruit or whole/cubed vegetables, and are known as preserving fillers. 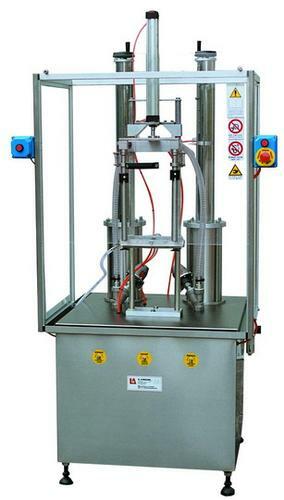 Automatic, vacuum filling,for liquid and semi-dense products. Semi-automatic, vacuum fillingfor liquid and semi-dense products.